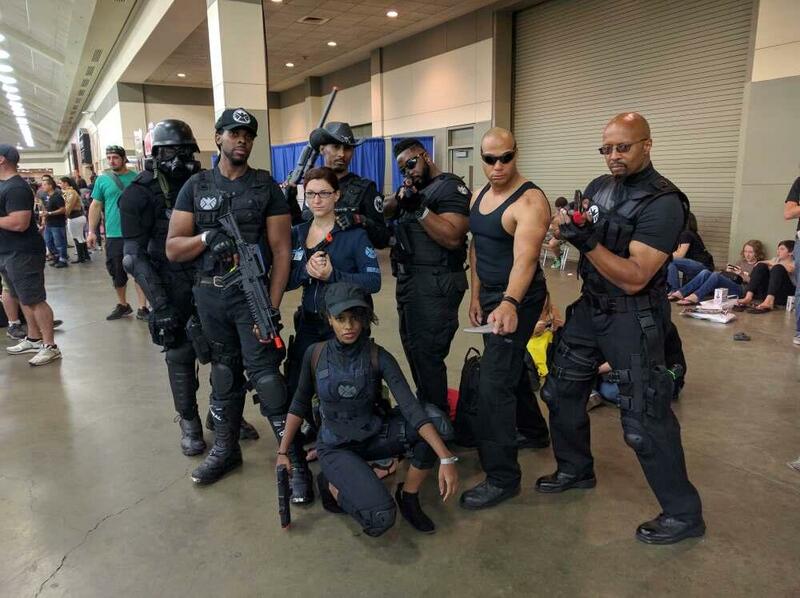 As someone who grew up right outside of Baltimore, I was very familiar with the sights of cosplayers walking around downtown at this time of year. 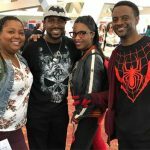 I was more than excited when I got the chance to attend Baltimore Comic Con and see it from the inside. Baltimore’s Convention center was transformed as genres clashed and mingled. 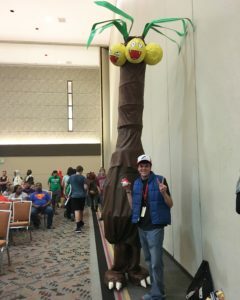 Cosplayers dressed in an array of well-crafted costumes, from an accurately sized Pokémon eggecutor, to a group complying as SHIELD Agents, and steampunk original outfits. The convention was certainly not lacking in Harley Quinn cosplayers, at least eight entered into the amateur costume contest, and a Harley won first place. A favorite of the crowd was the cosplayer who dressed as Bob Ross and had a canvas with tiny trees glued to it. 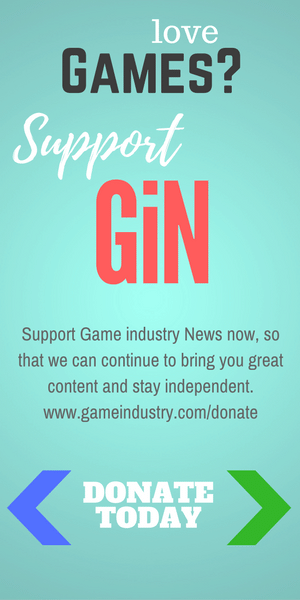 There was a slight hiccup when the fire alarm went off during the end of day two and the convention center had to be evacuated. As we push-shoved our way out to the street I was struck by the scene around me, that of Baltimore Oriole’s fans gathering around Camden yards mixing in with the mass of comic character t-shirts and cosplay outfits. It was quite a wonderful Baltimore sight. The fire alarm was accidentally triggered and the events of day three went on without problem. This year’s theme was all about Teenage Mutant Ninja Turtles, as the convention had several panels centered on TMNT and the program cover featured the four turtles in a darkly light sewer. 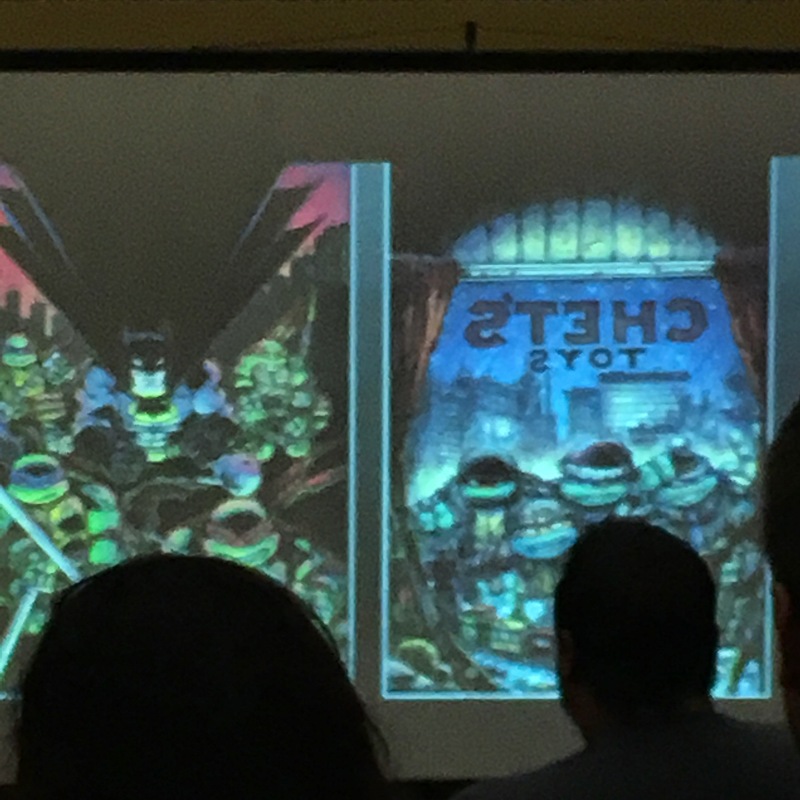 In the Kevin Eastman panel, the creator of TMNT, he gave us a first look at this years Christmas comic! There was also a commemorative Archie comic con yearbook that numerous artists collaborated on for Archie’s 7th anniversary. I really enjoyed the Marvel panel with Greg Pak, Charles Soule, Ed McGuinness and Mark Waid, all comic book writers or artists for Marvel currently. I learned that the Movie industry respects the original work and don’t influence the storylines of comics. Another highlight was during the questions portion of Christian Nairn, the actor who played Hodor in Game of Thrones. A man asked Christian if he could help him convince his mother that GOT was not real. Christian then was video recorded telling the man’s mom that he is alive and well and that Hodor is a character, the whole thing was very funny. As a big Guardian of the Galaxy fan, I also really enjoyed hearing Steve Engelhart’s spotlight panel, where he talked about past work. He explained that his original storyline for Starlord was very different than the direction the character went in. When he was working for Marvel he created Starlord to be this real jerk character, who goes on an epic adventures and ends up finding himself. Engelhart had him starting at the sun and going out to every planet with a unique storyline for each one. Venus would have been a love story, and Mars a war story. 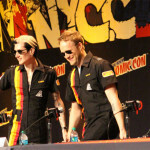 Something I did notice was the lack of attendance at smaller panels, which comic con regulars told me was not the norm. The larger panels and celebrity spotlights did not suffer, and were definitely packed. At Hayley Atwell’s spotlight they had a long line going out the door and around the corner waiting before they opened up the seating. I had a blast at Baltimore Comic-Con. I even got the chance to snag an original poster and get it signed by Hayley Atwell! 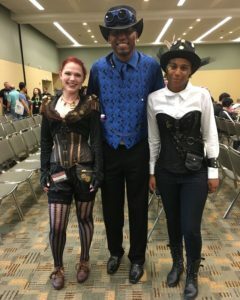 I thoroughly enjoyed my time at Baltimore Comic Con and certainly would highly recommend it as a must see for Baltimore natives, and non-natives alike! 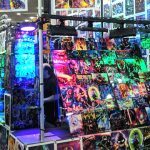 Anyone who enjoys comics in any form will find something to love at the increasingly impressive Baltimore Comic-Con.